A successful leader doesn’t just rise above everyone else; rather, she lifts those around her and helps them to succeed, said Kicki Searfus, board president for the Women’s Resource Center in Durango. “Really, the essence of success is not just what you achieve, but how you bring other people with you,” Searfus said in honoring three women who received the nonprofit’s Extraordinary Women Award. 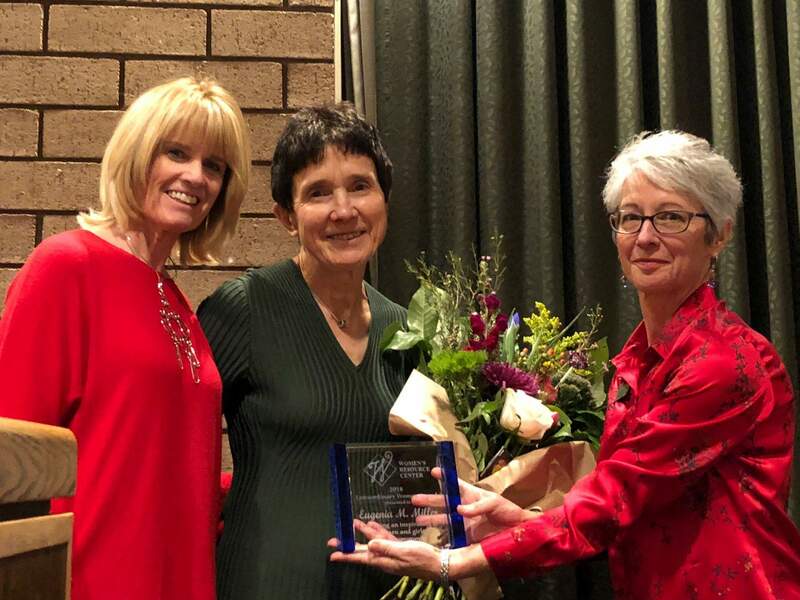 Last week, the nonprofit honored cardiologist Dr. Eugenia “Geni” Miller, Purgatory Ski & Snowboard School Director Valerie Schwiderski, and Durango Early Learning Center Director Lesley Lach. All three embody the theme of Women’s History Month: “Nevertheless, she persisted,” a phrase that represents the fight against gender discrimination, Searfus said. Miller was the first female cardiologist in La Plata County and served as chief of staff for Mercy Regional Medical Center. She retired after 45 years, according to a news release. “Her whole mission was to help other people,” Searfus said. Schwiderski bucked the stereotype when she became the director of the ski and snowboard school because she wasn’t male or a racer. “Her skillset was really about how do you run the program well and how do you support the people in it,” Searfus said. Under Schwiderski’s leadership, the number of female ski instructors at Purgatory increased 30 percent. Schwiderski also owns Earthen Vessel Gallery, a fine craft gallery where the majority of the artists are women. Lach was honored for commitment to a quality early learning environment, the support she offers her staff and her passion for children, Searfus said. She helps children from all economic backgrounds to develop the same social-emotional skills to prepare them for future opportunities. Beth Drum, a former board member of the Women’s Resource Center, wishes more women will be nominated for the awards next year. “So many women in this community have stories that we don’t know,” Drum said. Sharing those stories helps empower young women to pursue careers and goals they may otherwise avoid, she said.